At TermLife2Go, we go above and beyond to provide our clients with as much information as possible so that you can make your own decision about who is the best life insurance company for you—based on your unique health, lifestyle, and need. In the following Navy Mutual Aid Association review, we will cover the history, ratings, products, and policies offered by Navy Mutual. Is Navy Mutual the right company for you? Navy Mutual members can enjoy the benefits of a great annuity and life insurance provider that offers coverage for all military personnel, both active and retired.If you are in need of life insurance quotes, you can visit the company’s quote page here. Before we cover the different life insurance policy types offered, let’s start with a brief discussion about the company. Founded in 1879, Navy Mutual Aid Association is now well-known within the life insurance and annuity market for military families, both active and retired. The company operates as a non-profit and attempts to get pricing as close to net cost as possible. The company’s primary niche is offering both life insurance and annuities without combat restrictions. With headquarters in Arlington, Virginia, the company is actually a very rare one within the industry because it focuses on providing coverage for all those in the US Army, Coast Guard, Marine Corps, Public Health Service, as well as the National Oceanic and Atmospheric Administration (and all families). For this reason, the business runs as a ‘not-for-profit’ entity and they’re federal tax exempt in every corner of the business. From the launch date to 1920, Navy Mutual Aid Association was a special opportunity to get coverage only for those in the Marine Corps and Navy. In 1925, the Coast Guard was included in the exclusive list and women in the US Navy were finally added in 1947. During World War II, the company actually stopped all memberships but then reopened in 1950 and has been going strong since. In terms of receiving coverage, one must be on active duty, in the Reserves, or now retired from any of the services we listed above. Since 2005, Rear Admiral Bruce Engelhardt sits atop the business as President and CEO. In the age of uncertainty in which we currently reside, we need reliable services to get us through and this is why we want to talk about the finances of Navy Mutual Aid Association. If they don’t have the financial backing to be a success, any policy you have will actually be under threat around every turn so the finances of an insurance and annuity company is something you should keep in mind at all times. Luckily, they have a customer retention rate of over 97%, nearly $3 billion in invested assets and cash reserves, over $25 billion of insurance in force, over $80 million in total direct premiums, and around 114,000 people on a policy. As you can see, these are some impressive numbers but the $25 billion of in-force life insurance has to be the focal point because it really shows how much trust 114,000 people have in the company. With this in mind, there’s no reason why you should be concerned moving forward. With the special nature of Navy Mutual Aid Association being as it is, there are actually very few ratings available. Normally, A.M. Best and the like don’t assess the financial status of companies who aren’t looking to make profit because their financial strength isn’t necessarily under any pressure. With this in mind, we have two main areas of interest with one looking at the finances and the other on customer service. Fitch – Despite the limits in place for the company compared to others within the same niche, Navy Mutual Aid Association has done extremely well to earn an A+ rating from Fitch Ratings. According to the ratings agency, the company is enjoying a strong investment profile, capitalization, and a large number of policies in force. If you’re unaware, Fitch actually concentrates on the credit side of things which assesses a company’s ability to meet their financial commitments in the short, medium, and long-term. For example, this could include interest payments, insurance claims, repayment of principle, and any other financial obligations they may have. As long as they can cover these with ease, they can continue operating for their customers and this is the main focus. 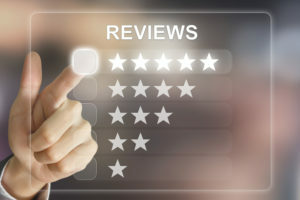 Better Business Bureau – Ranging on a scale from 0 to 100, the Better Business Bureau assesses a handful of customer service related criteria to assess whether the business can offer a good service for all consumers. For example, the biggest factor they assess is the amount of complaints the company receives but this is also joined by their time in business, licensing and government actions, advertising issues, and business practices. As you can see, these are all factors that’ll affect the experience of the consumer. With Navy Mutual Aid Association, they recently earned a BBB rating of A+ which means they join some of the biggest companies in the industry in the very best rating bracket. In the aforementioned scale, the business sits above 97 points and this means you can be confident in their behavior and service towards all customers. Customer Service – After visiting their website, you can choose your preferred method of getting in contact starting with the ability to schedule a phone call with a representative. After entering your location and whether or not you’re a member, this allows you to speak to someone nearby and have any questions answered and problems resolved. After this, they have sections on the website for common requests such as changing your address, reporting a death, scheduling a presentation, or referring a friend to the company. If none of the links they provide apply to your situation, you’re also welcome to browse the addresses, fax numbers, and phone numbers they provide. All in all, you shouldn’t have any issues on the customer service side of things. A little later, we’re going to break down the life insurance options and whether you can apply for a policy but first we’re going to look at the different areas of the business. Depending on your needs, you might want to discuss services in one or more of these sections. For Navy Mutual Aid Association, they have a focus of providing long-term financial security and much of this comes from their broad range of annuities. In total, you have three different products to choose between including Flexible Premium Retirement Annuity, Single Premium Immediate Annuity, and Single Premium Deferred Annuity. With a SPIA, you pay a lump sum in return for a fixed income stream for the rest of your life or a set period of time. With a SPDA, you are choosing to defer your income stream for a period of time in order to increase what your ultimate income stream from the annuity will be. With a FPRA, you can make additional premium payments into the annuity to grow the base of the annuity, increasing income payments back to you. Another benefit to this annuity is that you keep some cash flow since you can withdraw up to 10% of your accumulated value after the first year without an associated withdrawal fee. According to Navy Mutual Aid Association themselves, their policies are ‘unmatched’ for value as well as stability and integrity so this is always a good start. Since the company has low overhead compared to many other life insurance providers, you’ll benefit from affordable life insurance prices while finding the right policy for you as well as your family. As we saw earlier, Navy Mutual Aid Association has strong finances in all areas including cash reserves and this provides security for your investment. Whenever you invest in a life insurance policy, you essentially invest in the company too because you’re placing a bet they will be around when your family places a claim. Luckily, Navy Mutual Aid Association is financially secure and shouldn’t have an issue continuing operations long into the future. In terms of the different types of life insurance available, you have four to choose from including Flagship Whole Life, Flex Term, Express Life, and Level II. Starting at $10,000, Navy Mutual whole life insurance allows you to apply between the age of 18 and 80 before building and maintaining death benefits of up to $1 million. The company offers sample whole life insurance quotes on its website. Some benefits of whole life. Affordable Monthly Payments – Based on age, coverage, gender, health, use of nicotine, and the duration of premiums you choose, the appropriate premium offer will be sent your way. Over the course of the policy, they remain fixed and you could even reduce premiums by stretching the policy length. If you’re looking for the best cash value growth though, this will be found in the policies paid up quickly. No Risk – With life insurance and this provider, you know you’re always going to recuperate what you pay which means it’s a no risk strategy. When you pay your premiums, Navy Mutual will apply your premium payment to your policy’s growing cash value account, which earns interest and potential dividends. Extras – Many different riders (including Chronic/Terminal Illness option), guaranteed protection (as long as you keep paying premiums), tax-deferred cash value component, and the potential of earning participating policyholder dividends. Flex Term is convertible term life insurance offering low fixed premiums. Coverage remains level up to 50 years of age. You might want to check with a Navy Mutual representative to make sure the death benefit does not decrease after age 50. The policy has very few restrictions, and the opportunity to continue coverage even after you retire. Although the amount you pay will depend on whether you smoke, your age, health, and many other factors, coverage of up to $1 million is available. No restrictions in terms of aviation, war clauses, military service restrictions, travel limits, or terrorism clauses. Why is it called express? Ultimately, this relates to the application process because this is life insurance with no medical exam. Within the military, there are some unique needs that perhaps don’t exist anywhere else which is why they offer this Express Term option. After filling out a simple form, you could receive coverage of up to $250,000 over a period of ten years. During this time, the premiums will remain the same and you don’t have to worry about paperwork delays that sometimes exists with fully underwritten plans. Finally, the fourth life insurance policy on offer is the Level II and this is generally seen as an extension of the Flex Term plan. Once this comes to an end, the Level II Plus will take over. Note: it has been brought to our attention that you may be required to submit labs in order to continue your coverage, which could result in a diminished health rate class or denial. With Level II Plus, the coverage is offered in increments of $10,000 starting at $50,000 before then allowing you to reach $1 million in total. Considering people in military service are generally healthier than those who aren’t, there are three main tiers for premiums; standard, select, and super-select. However, even within the standard premium rates, you’ll be paying an affordable amount compared to various other providers. Navy Mutual provides a listing of life insurance rates by age. You can go here for more. When you fill out the company’s quote page, you will get a page that looks like the image below. As we start to realize the importance of life insurance, we’re now starting to take advantage of certain ‘riders’ and these are additions you can make to your policy. Although they may require you to pay higher premiums, life insurance riders provide additional policy benefits. Child Benefit Rider – Firstly, the Child Benefit rider will provide life insurance for children. If you choose the child’s term rider it will require you to pay an additional $2.50 per month for the privilege of covering all your children with a death benefit of $10,000. Of course, this is something that no parent ever wants to think about let alone take action against. This being said, accidents happen and you’ll be left with a funeral, medical bills, and other expenses to cover. With this simple rider attached to your policy, you keep your children protected. What’s more, this rider can be converted to a whole term policy as long as it’s done before their 24th birthday, so you are also taking steps now to protect your child’s future insurability. Accelerated Death Benefit Rider – If you happen to become seriously ill later in life, the accelerated death benefit rider allows you to take advantage of ‘living benefits’. As long as the policy has been in place for a minimum of five years before you become ill, you’ll have access to a section of the death benefit so you can cover medical bills, home care, and other related expenses. With Navy Mutual Aid Association, you can attach this rider with no additional premium so it’s a win-win solution. TermLife2Go does not represent Navy Mutual. If you are looking for the best policy for you, our advice is twofold. One, check out Navy Mutual and get some product information and rates. Two, give us a call and get some product information and rates. Then make a decision that is best for you based on all the data. Sometimes Navy Mutual is the best choice. However, sometimes we can find something that is more aligned to what you need. But there is only one way to know for sure. So what are you waiting for? Give us a call today to see what we can do for you.